We make a leisurely journey to our overnight stop in North Wales at the 3* Kinmel Manor Hotel in Abergele. Following an early breakfast we make the short journey to Holyhead for the morning sailing to Dun Laoghaire (nr Dublin). Our journey takes us through the central plains of Ireland to Co. Kerry with a stop on route before completing the journey to the 4* Killarney Towers Hotel for the next 4 nights where every evening is packed with Irish entertainment. Made famous by Ryans Daughter, the Dingle Peninsula offers some of the wildest natural scenic beauty in Ireland. Travelling west, we make a stop in Tralee where you can learn the roots of Kerry history with a visit to the fascinating Kerry the Kingdom Museum. We continue on along the edge of Tralee Bay to follow a circular route around the most westerly tip of the peninsula, where at Slea Head promontory the Blasket Islands come into full view. 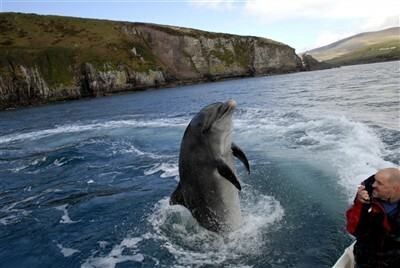 Our afternoon stop is at the fishing village of Dingle, where youll enjoy one of the highlights of your tour  a Boat Trip and Dolphin Watching Excursion around Dingle Bay. Try to spot Dingles most famous resident, "Fungie" the Dolphin. Today we take a change of transport from the coach and spend a full day in Killarney, set in the Irish Lake District and internationally renowned for its scenic beauty with a myriad of pastimes to ensure you will never be left at a loose end. Begin today with a jaunting car ride and lake cruise excursion. The Tangney family has been running these excursions from the centre of Killarney for five generations. The tour runs through the Killarney National Park and along the edge of Lough Leane to Ross Castle. From here catch the Lily of Killarney to cruise across the lake, a memorable way to view the surrounding mountains. 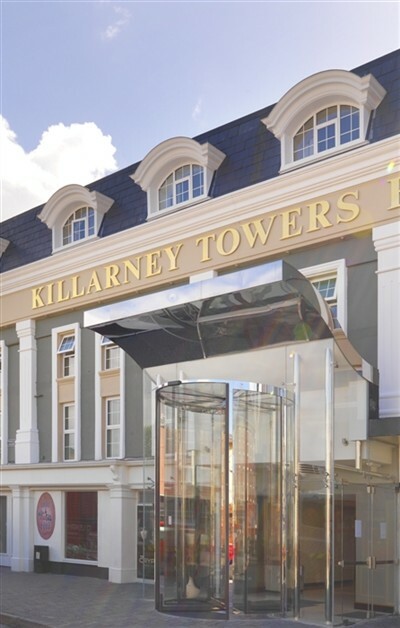 A return transfer takes you back into the centre of Killarney Town for free time in this popular holiday destination. One option, just a short taxi ride away, is magnificent Muckross House, Gardens and Traditional Farm. The Victorian mansion is elegantly furnished fully befitting one of its most famous guests, Queen Victoria. Back in town, St Marys Cathedral is well worth a visit but leave plenty of time for shopping since many of the shops stay open until 10pm. Today we are joined by a local Irish guide to tour around the Ring of Kerry by coach. Dominated by MacGillycuddys Reeks, savour 100 miles of spectacular scenery as you travel along the narrow coastal road of the Iveragh Peninsula. The journey begins at Killorglin, home of the worlds oldest market, the famous Puck Fair, through Glenbeigh, continuing through the villages of Rossbeigh and Kells, with their beautiful golden beaches to Caherciveen for lunch. Travel through Waterville and Derrynane, overlooking Ballinskelligs Bay to Caherdaniel, hometown of political hero Daniel O'Connell. Continue through Sneem, a quaint town with its own village green, and Kenmare to Moll's Gap, a cutting between bleak bogland and mountains. The winding road passes Ladies View, aptly named after Queen Victoria's ladies-in-waiting who were so impressed with the view of the lakes and the entrance to Muckross. After breakfast, its time to leave Killarney and head over to Cobh in neighbouring Co.Cork a tiny fishing village with a big history. Established in 1750, Cobh was the last port of call for 'Titanic' on her fateful maiden voyage in April 1912. Learn more about this captivating period with a visit to the Queenstown Story housed in the restored Victorian Railway Station. This award-winning exhibit depicts the story of Titanic as well as the history of mass emigration undergone by over 6 million Irish men, women and children from this humble harbour. Our tour continues along the south coast via Youghal & Waterford into Wexford for a final overnight stay at the 3* Maldron Hotel. Following an early breakfast we travel to Rosslare port for your morning return sailing to South Wales, returning you home in the early evening.